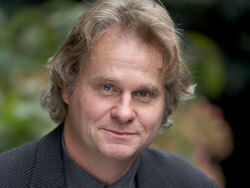 WINNIPEG, MB - Passionate defender of all of life's diversity, world renowned ethnographer, writer, photographer, and filmmaker Dr. Wade Davis is named The University of Winnipeg's Visiting Professor and Senior Fellow in the Master's in Development Practice - Indigenous Development program (MDP). He will be contributing to an international Indigenous academic program as part of UWinnipeg's MDP, joining a global network of 22 prominent academic transnational institutions including Columbia University's Earth Institute, (New York, USA), Sciences PO (Paris, France), Universidade Federal Rural do Rio de Janeiro (Rio, Brazil), and James Cook University (Australia), effective August 1, 2011. This unique graduate program applies a holistic, applied and professional approach to development. Davis is an Explorer-in-Residence for the National Geographic Society, and in recent years his work has taken him to East Africa, Borneo, Nepal, Peru, Polynesia, Tibet, Mali, Benin, Togo, New Guinea, Australia, Colombia, Vanuatu, Mongolia and the high Arctic of Nunuvut and Greenland. Davis is a much sought lecturer who delivered the prestigious 2009 CBC Massey Lecture Series on The Wayfinders: Why Ancient Wisdom Matters in the Modern World. He has lectured at the National Geographic Society, American Museum of Natural History, Smithsonian Institution, and California Academy of Sciences, as well as many other museums and some 300 universities, including Harvard, MIT, Oxford, Yale, and Stanford. Davis was awarded the Gold Medal of the Royal Canadian Geographical Society (2009), the 2002 Lowell Thomas Medal (The Explorers Club) and the 2002 Lannan Foundation $125,000 prize for literary non-fiction. In 2011 he will receive the Gold Medal from the Explorers Club. Davis earned his PhD at Harvard University in anthropology and biology in ethnobotany. A native of British Columbia, Davis has conducted ethnographic fieldwork among several Indigenous societies of northern Canada.Author of 13 books, including The Serpent and the Rainbow and One River, he has published 175 scientific and popular articles on subjects ranging from Haitian vodoun and Amazonian myth and religion to the global biodiversity crisis, the traditional use of psychotropic drugs, and the ethnobotany of South American Indians. “I am truly honoured to be joining the University of Winnipeg academic community,” said Davis. “I very much look forward to assisting President Axworthy whose vision for this program and for the university is so inspired." Davis' role includes participation in the Master of Development Practice program orientation. He will offer students an intensive pre-departure orientation program prior to their field placements to provide a broad, practical context. He will deliver a public lecture about Indigenous development, which will be recorded and archived to include in the Global Classroom component coordinated by the international MDP consortium. Davis will also be a consultant with MDP faculty, staff and students, on campus and via Cisco TelePresence technology. He will provide advice to the President, the Vice President (Academic), the Indigenous Advisory Circle, and others, with respect to the development of educational resources in a broad range of formats to assist the University in reaching its' goal of becoming a world hub for knowledge related to Indigenous development. The MDP will combine training in the health sciences, natural sciences, social sciences and management to give practitioners the tools to address the world's most challenging problems while creating leaders in Indigenous development studies. Find out more about this exciting new degree at the MDP website or email mdp@uwinnipeg.ca.